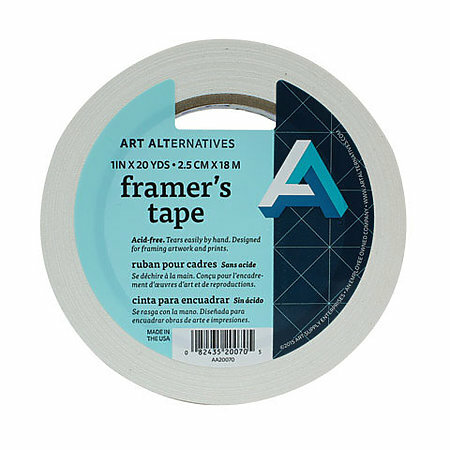 Pressure-sensitive tape developed for acid-free mounting, matting and framing. It is easy to tear off by hand. Because it+ s acid-free, it+ s compatible with alkaline papers, leaves no stain, and will definitely not deteriorate with time. In a 1" x 20 yd. roll.